"A voice that is equal parts gruff, sandpapered scratches, unfiltered and open just enough to let the story out and smooth” says redline roots, Izzy’s songs are unmistakably his own, with a strong emphasis on the nuanced dynamics of his voice. With complex melodies and playful wordplay, Izzy’s work sounds unlike anything you’ve heard before but is still guaranteed to get stuck in your head. At 22-years-old, Izzy has already garnered a local loyal following in the New England Area. 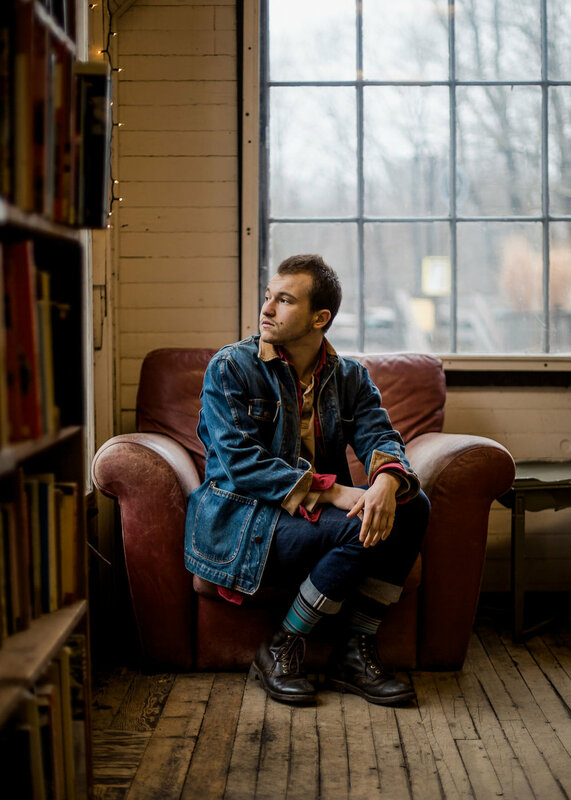 His debut EP “Sweet Apathy” was accompanied by a sold-out release show at the Historic Club Passim in Cambridge, MA, in January 2018, and Izzy continues to play other esteemed venues in the area, including Mass Moca, The Dreamaway Lodge and the Parlor room. He was also a recipient of a 2019 Club Passim Iguana Fund Grant for his forthcoming record. In the summer of 2018, Izzy was named a finalist in Kerville Folk Festival’s New Folk Songwriting competition in Kerville, TX, and in 2017 was included in Falcon Ridge Folk Festival’s Grassy Hill Emerging Artist Showcase in Hillsdale, NY. He has performed at both regionally and nationally acclaimed festivals such as Ossipee Valley Music Festival in Cornish, ME and Freshgrass Bluegrass Festival at Mass MoCa in North Adams, MA, three years in a row.